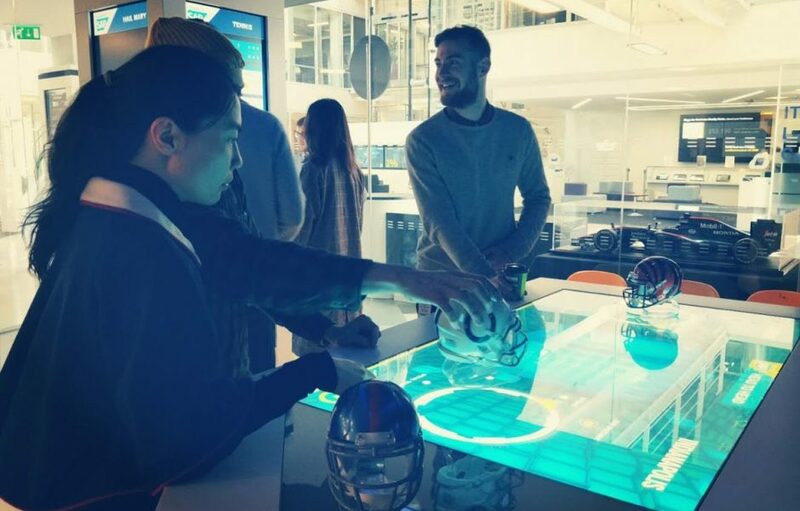 Our students from the Institute for Sport Business had the opportunity to visit SAP Headquarters in Feltham, London, and experience a unique and innovative corporate environment for a whole day. Take a read of Leonidas’ blog post to find out more about the site visit. Just an hour away from central London, SAP stands out as one of the companies which drive today’s technological revolution. SAP is the market leader in enterprise application software, helping organisations tackle the damaging effects of complexity, generate new opportunities and growth, and stay ahead of the competition. 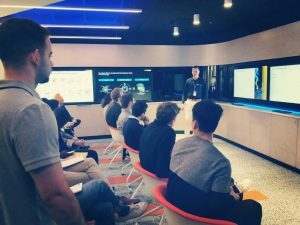 The visit was organised by Dr. Emily Hayday who leads the “New Media & Analytics for Sport Business” module and was hosted by Federico Winer, Head of Entertainment (EMEA) for SAP, who also leads the “Digital Sport Technologies: Evolution & Application” module. 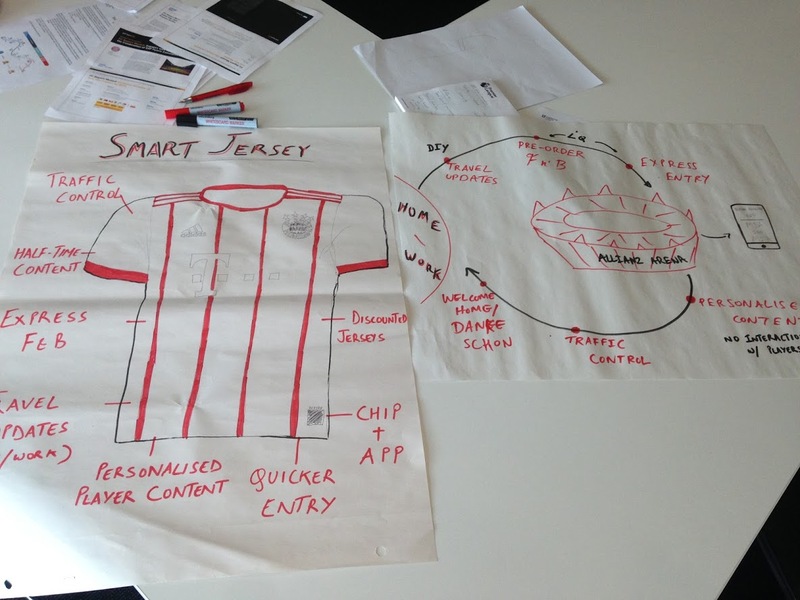 Both modules took place throughout the second academic semester, mainly chosen by MSc students within the Institute for Sport Business. To begin with, the schedule included a brief presentation about the company’s history, vision, initial founders, evolution, corporate culture as well as its’ global reach and impact, so that all students gain a complete perspective on SAP background. A well-rounded presentation of all SAP technologies followed, showcasing the company’s offerings for the Entertainment industries. During the last few years, SAP partners like the National Hockey League in North America (NHL) and Bayern Munich Football Club took advantage of solutions to better understand their customers, reduce marketing costs, increase site visitors and duration of engagement. Students viewed first hand how technology breaks barriers of interaction with the end user within the entertainment industry, i.e. entertainment parks, museums, zoos, lotteries, casinos, etc. The company’s “fun & relax” areas were explored too, providing the visitors with the opportunity to drive a McLaren Formula ONE vehicle in a simulator and get closer to ground-breaking technological advancements in other sports. However, the field trip was even more inclusive and interactive when students were allocated into teams of 4-5 individuals and selected to work on real case studies of SAP customers, brainstorming about solutions, focusing on the customer’s journey and presenting them all one by one at the end of the day. As a closure, Federico advised all teams and shared his constructive feedback upon the ideas. Thank you to our Student Ambassador, Leonidas, for this great blog post! If you’d like to find out more about our postgraduate taught and research opportunities, take a look at our Institute for Sport Business web pages.